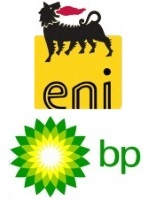 édité le 11/12/2018 - Plus de news de "BP" - Voir la fiche entreprise de "BP"
BP announced that it has agreed to acquire from Eni a 25% participating interest in the Nour North Sinai concession area offshore Egypt. The concession is located in the East Nile Delta basin, approximately 50 kilometres offshore in the Eastern Mediterranean, in water depths ranging from 50 to 400 metres and covering a total area of 739 square kilometres. Eni, the operator, is currently carrying out drilling of the first exploration well in the concession. Eni has also agreed the sale of a stake in the concession to Mubadala Petroleum. When the transactions are complete, Eni will remain the operator with a 40% stake in the concession, BP will hold a 25% interest, Mubadala Petroleum 20% and Tharwa Petroleum Company, 15%. BP’s purchase, which is subject to receiving approvals from the relevant Egyptian Government authorities, is expected to be completed by the end of this month. BP has a long and successful track record in Egypt stretching back over 55 years. BP’s business in Egypt is primarily in exploration and production of oil and gas. With its partners, BP currently produces almost 10% of Egypt’s oil production and close to 60% of Egypt’s gas production. BP has invested approximately $30bn in Egypt to date, making it one of the largest foreign investors in the country. BP is working to meet Egypt’s domestic gas market growth by actively exploring in the Nile Delta and investing to add production from existing discoveries.